Appointment of former finance secretary Hasmukh Adhia comes at a time the Modi govt has a fast closing window to make official changes before Lok Sabha polls. New Delhi: Shortly before the model code of conduct is expected to kick in, the Narendra Modi government is busy making last-minute appointments. 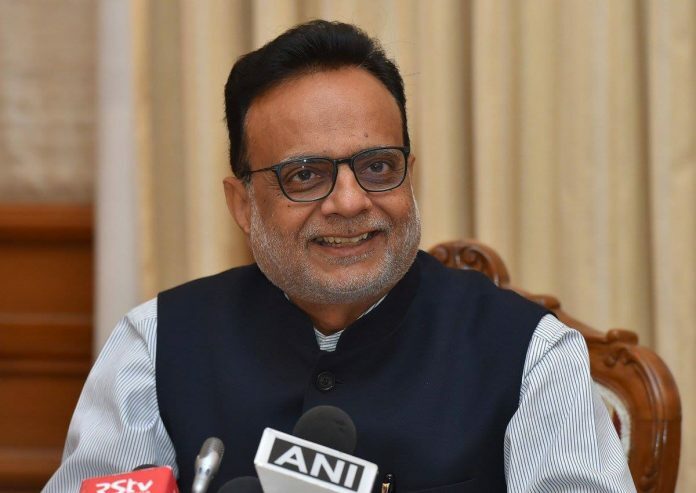 The President Friday appointed Hasmukh Adhia, PM Modi’s yoga mentor and former finance secretary, the chancellor of the Central University of Gujarat. The appointment order for a tenure of five years was issued by the President in his capacity as visitor of the central university. Adhia’s name was proposed by the human resource development ministry, headed by Prakash Javadekar on 6 March. According to a source, more appointments are likely to take place in the ministry Saturday. The government cannot make any fresh appointments once the model code of conduct is imposed for the coming Lok Sabha elections. Only last Friday, the government appointed Adhia as chairman of the state-owned Bank of Baroda (BoB). In a Twitter post, Financial Services Secretary Rajiv Kumar announced the appointment. “Bank poised to leverage benefits of synergy and scale with stronger pan-India presence,” he added.